This is a small cat tree that is perfect for the single cat. There is ample area for your cat to stretch and sparpen claws. There is a large round area on top for a nice long cat nap. 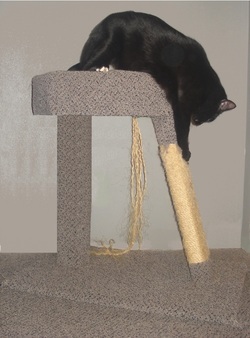 This shows how with the right color carpet, the cat tree can blend into your home's colors.